On the 18th March 2018, the first-ever Global Recycling Day will take place. Cities around the world such as London, Washington DC, Sao Paolo, Paris and many others will be hosting events to raise awareness of the environmental issues that we face globally and how recycling can help. The Bureau for International Recycling (BIR) has introduced the initiative, and it is encouraging people to think of recycling in a new way – that we all look at your rubbish as a ‘resource’, and not as ‘waste’. How can you (as an individual) help raise awareness for Global Recycling Day? To help raise awareness for the global issue of recycling, the BIR has started a petition. The petition aims to have a positive approach to recycling globally. As of writing this post, the petition has just over 5,500 signatures with the aim of exceeding 7,500. The petition is calling on the United Nations to officially recognise Recycling Day and provide urgent action to improve recycling. To show your support for Recycling Day, sign the petition here. Also, on social media, supporters are being encouraged to use #GlobalRecyclingDay to raise awareness for the initiative. On Sunday 18 March between 11:30 and 16:00, Global Recycling Day will be creating a pop-up “recycling experience” on Carnaby Street, in order to highlight just how much-untapped resource there is around us, even in major cities like London. Founder of Global Recycling Day, and President of the Bureau of International Recycling will be present to officially launch the Day and the Global Recycling Day team will be on site canvassing for signatures for its petition to the UN and educating on the 7 Golden Rules of Recycling. Members of the public will be encouraged to take selfies, and adopt the campaign hashtags, to join in global celebrations. How can businesses support Global Recycling Day? If your business does not already have a high-quality recycling collections, then Global Recycling Day is the perfect opportunity to act and to introduce sustainable recycling into your workplace. When looking to improve your business’ recycling services, we would suggest that the best place to start is with a free waste audit. If you are based in Westminster, then contact Commercial Waste Services to request this complimentary service. A waste audit allows one of our recycling experts to come out to assess your current practices. They will come to your premises at a time and date that suits you and recommend different methods and services you can implement to improve your waste and recycling performance. Recycling your waste also helps bring waste management costs down. If you are planning on improving your business’ recycling performance, then good communication across your organisation will really help. It would be good to gently remind all your staff that we, as global citizens, can take a very short-sighted approach to the goods and materials we use on a day to day basis. In doing so, we are depleting the earth of its natural resources and contributing to climate change. Recycling helps to reduce our need for primary resources such as water, air, coal, oil, natural gas and minerals and combat climate change. The BIR firmly believe that Global Recycling Day is the perfect initiative to raise the issues of current recycling practices. Join us in promoting this important day and make a difference by taking an action on improving your organisation’s recycling practices. 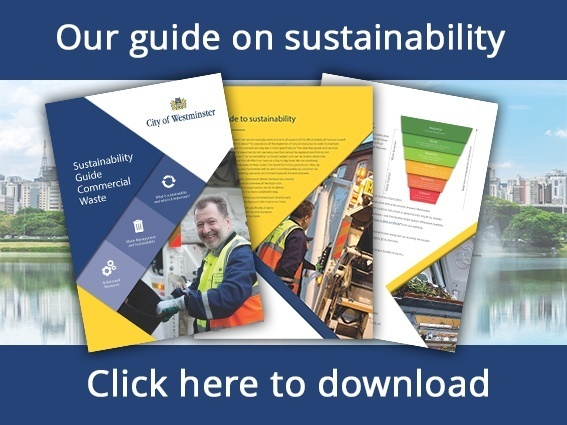 If you are looking for ways to improve how sustainable your business is overall, then the best place to look is in our sustainability guide. The guide identifies the areas of sustainability that your company or organisation should focus on and how to approach them. It also has expert guidance and advice on waste management and sustainability and actions to take to improve this.